Keep your home sparkly clean with the help of your local cleaning service, Kulas Maids Inc. We offer residential and commercial cleaning in the Chicagoland Area. 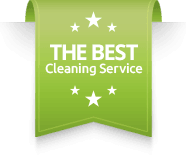 Kulas Maids provides the utmost quality cleaning service and guarantees you 100% customer satisfaction. If you are looking for the best house cleaning possible, Kulas Maids Inc. is your number one house cleaning option. We have been serving Chicago’s North Shore Suburbs since 1983 and are fully insured and bonded. Kulas Maids Inc. is your best local maid service. A crew of 4 highly professional maids are sent to your home and clean at a reasonable price within a convenient amount of time. If you are interested in a maid service, call our office today and you will receive a free estimate: 847-559-0966.